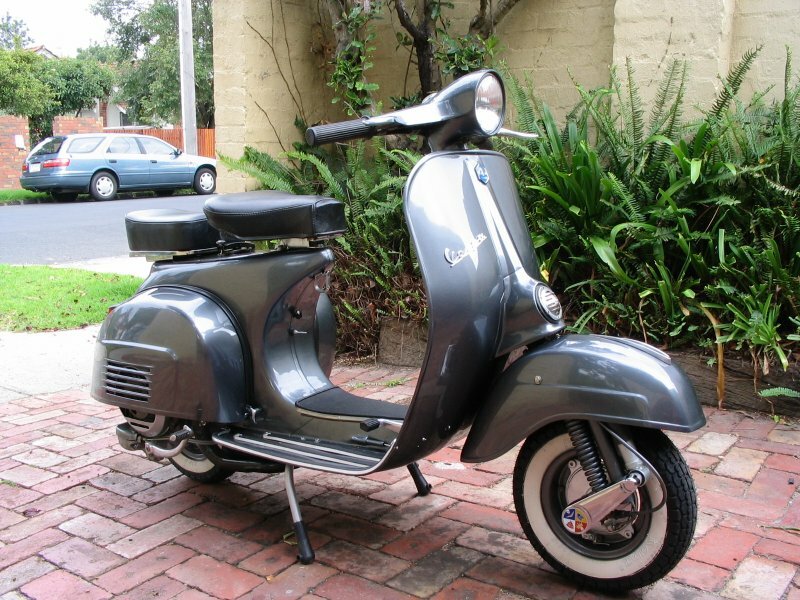 This beautiful Vespa (all Italian genuine parts) was brought to my workshop completely dismantled. 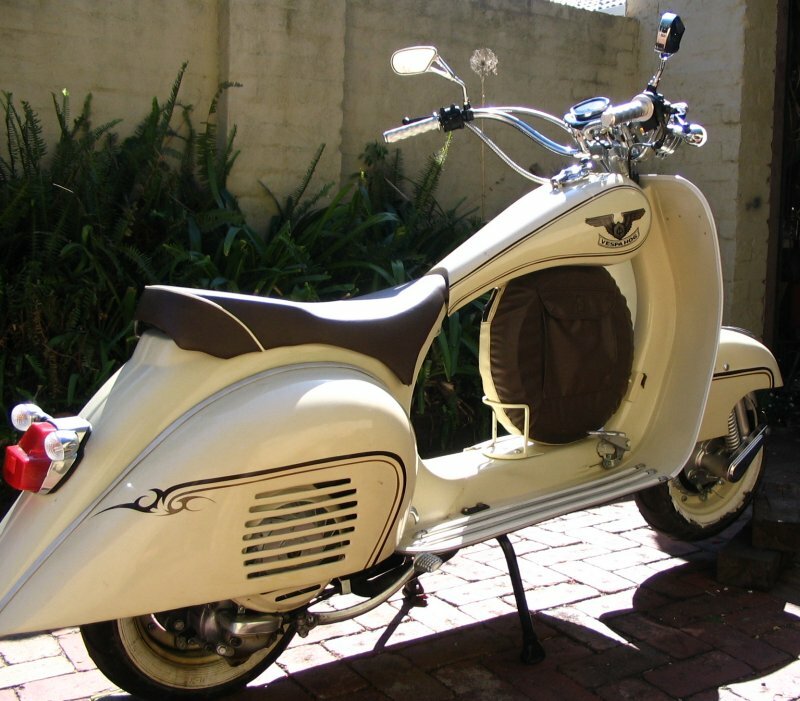 This '63 VBB Vespa was imported from Bali after it was cut in the middle and a 20cm section was added to the frame to make it longer. A tank was then fitted so that the rear could be cut down to lower the seat. The tail was also stretched and made pointy. 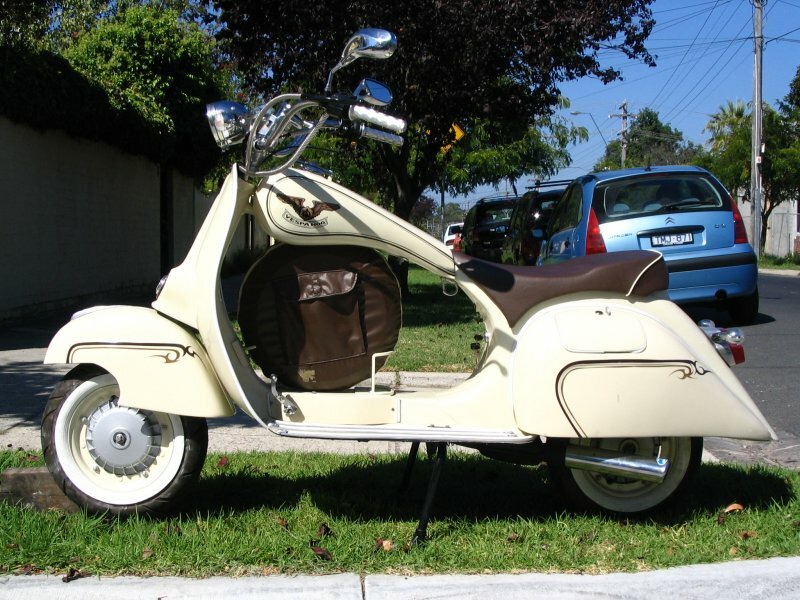 When I took the job, the engine was a disaster and I ended up replacing it with one from a PX 200 Vespa. The electrical system was not conform to Australian regulations and it required major modifications. It now has a battery that drives the indicators and the horn. The foot gear control turned out to be too difficult to use and it had to be removed. The gear selection is now through a twist handle grip as in any other Vespa. It took quite an effort to comply with Australian regulations to render this vehicle roadworthy but it is finally registered and being regularly driven.